Nobody would have guessed it, but last night’s rhapsody in black and blue at jam-packed Olympic Auditorium wound up in a one-all draw. However, it was Argentine Rocca who emerged the hero and the champ; Lou Thesz, the chump. King Louis Thesz, heavyweight champion of the wrestling world, puts all but his title on the block tonight at Olympic Auditorium where he risks his reputation, his health, his pride and other vital valuables against Argentine Rocca. Rito Romero added another victim to his growing list last night on the Valley Garden Arena wrestling mat, where he downed Dave Levin in two out of three falls. Sandor Szabo made Antone Leone say uncle in another match. Ray Piret bounced Bob Corby in the opener. Popular Ricki Starr used a Chinese crab hold to pin Jack Vansky in the third fall of the main event at the Sportatorium last night. 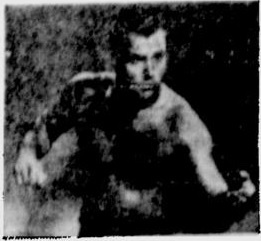 Johnny Valentine turned traitor in the eight-man tag match Friday night at City Auditorium, helping his opponents pin Larry Chene for the final loss.